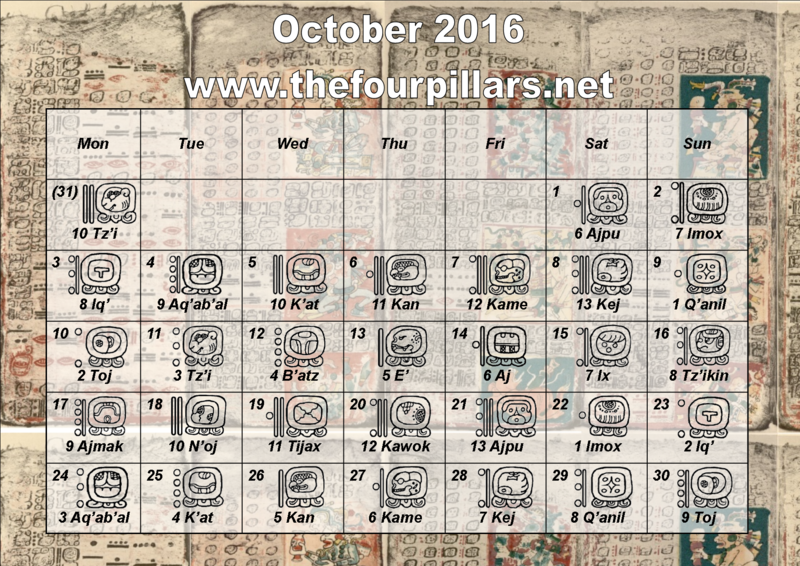 Here are the days of the Chol Q’ij mapped onto the Gregorian month of October 2016. Please click the calendar for a larger version to print out if you would like to. Below the calendar are clickable links to my writings for each of the days. IMPORTANT NOTE – I am refreshing the posts to reflect the new cycle on a daily basis. I have also changed the way I write through the last cycle of the Chol Q’ij. 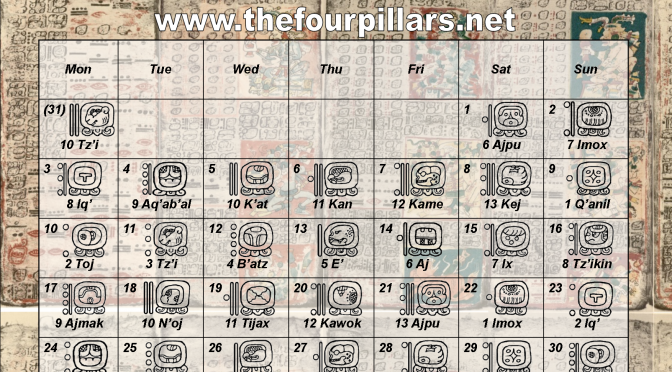 The links will take you to the correct day, even if the Gregorian title shows January or February of 2016. For a calendar with a plain white background, please click here. 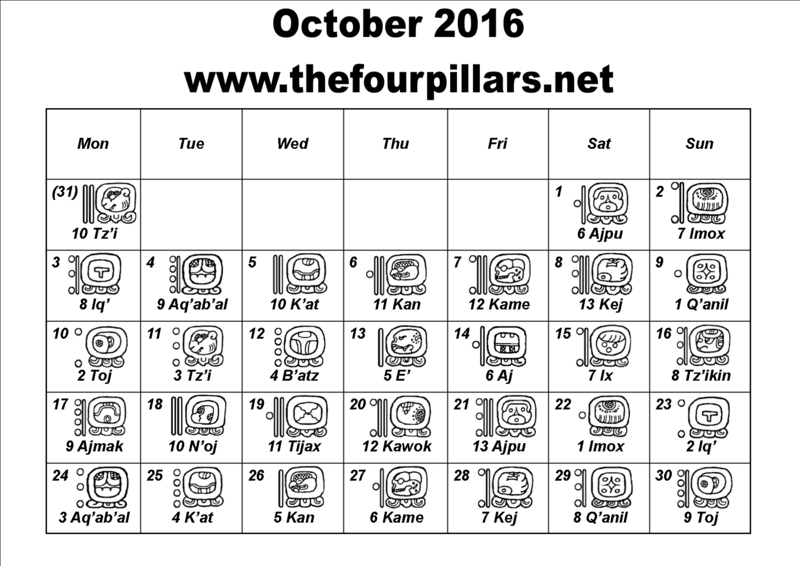 8 Tz'ikin 16/10/2016 Prosperity and vision ceremonies.